Gianfranco Franz (Director). Architect, Associate Professor of Urban and Regional Policy in the Department of Economics, University of Ferrara since 2008. 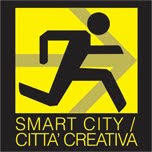 Beginning in 2001, Regional Planning Researcher in the Department of Architecture at the University of Ferrara. Member of the Evaluation Committee for Economics Ph.D. candidates at the University of Ferrara. Member of the advisory board for the Italian University Consortium for Argentina (CUIA). Participant in conferences and workshops in Italy, Spain, Argentina, Brazil, Chile and Mexico. Director of the Eco-Polis Master Program since 2007. Previously, Coursework Coordinator for the MAPAUS and MEGAS Master Programs. Emanuela De Menna (Scientific Coordinator). Architect, PhD in Economics, she was Professor of Urban Analysis Techniques at the Faculty of Architecture of Ferrara and teaching coordinator of the Master MAPAUS since 2008. She worked at the environmental and housing problems in major cities in Latin America and has conducted several studies on themes of recovery of the architectural and urban heritage in Europe and Latin America. She worked as a consulting and design at the municipality of Sao Paulo (BR), Buenos Aires (Ar) and Valparaiso (Chi) and for various local authorities and associations of Italian municipalities. She was scientific coordinator of the Strategic Plan for the area of the Costa dos Corais (Alagoas, Br). She worked at the research projects and cooperation for Latin America on behalf of the CURS - University Consortium for Research and Socioeconomic Environment, she is the operational coordinator of the inter-university network operating between Europe and Latin America - Red Alvar and collaborates with UNESCO Chair on "Urban and Regional Planning for Local Sustainable Development". Daniel Sardo, PhD (Coursework Coordinator). Dr. Sardo is an Architect who completed his doctoral studies in Urban and Regional Development from the University of Ferrara, Italy. He received his architectural degree in 1999 from the Catholic University of Córdoba (UCC, Argentina). 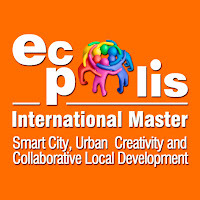 In 2008 he participated in the Eco-Polis International Master, and since 2009 has been the student body and curriculum coordinator for the Master. Since 2008, he has organized numerous Local Development initiatives at various scales in Italy and Latin America. In recent years, he has been a presenter at numerous conferences and seminars in Argentina, Chile and Italy, lecturing on Local Development and the interdisciplinary aspects of local issues related to urban and regional planning. Camilla Sabattini. (Coursework Coordinator) A graduate in architecture, she works with strategies for local development, analysis of urban systems, and urban revitalization. Working with the Urban, Regional and Environmental Research Center at the University of Ferrara, she has developed research and analysis work in subjects related to regional planning of the Province of Bologna. In 2010, she collaborated on the Management Plan for the Ferrara UNESCO World Heritage Site. In 2010 and 2011, she was an on-site project manager for the preparation of the “Strategic Plan for the Development of Tourism on the Coral Coast” in the State of Alagoas, Brazil. She has been a part of the Master Eco-Polis direction committee staff since 2010. Francesca Mascellani (Coordinatore e Tutor D’aula). Economista e specializzata in tecnologie e management per il ciclo dei rifiuti presso la scuola Superiore Sant’Anna di Pisa. Si è occupata dal 2011 al 2012 di progettazione europea e non in ambito Sostenibilità, seguendo, presso Indica srl, progetti nel campo della riduzione degli sprechi, delle politiche di prevenzione, riciclo e riuso, della lotta ai cambiamenti climatici, di stakeholder engagement e partnership pubblico-private. Dal 2013 collabora con il team del Master Eco-polis come tutor d’aula. Matias Barberis Rami (Coordinatore e Tutor D’aula). Graduated in International Relations. Ph.D. student in Humanities and Social Sciences at University of Ferrara. Junior researcher on topics of Environmental Migrants, Disaster Risk Management and International Migrations. Since 2011 is Assistant Professor of Sociology and Anthropology at Catholic University of Córdoba. During 2012 has worked in a research related to sustainable development at the Italian National Commission for UNESCO in association with the Master Eco-Polis.